Maryland Blogger: Still looking for a Valentine’s gift? Still looking for a Valentine’s gift? Cooking up a great meal? Stand by your pan. Too many meals are ruined when cooks get distracted or forgetful and leave cooking unattended. As much as Fire/Rescue loves your cooking, you really don’t want us to have to extinguish that perfect meal. Cooking fires are the number one cause of home fires so keep anything that can catch fire – potholders, paper or plastic bags, dish towels, newspapers and curtains – away from your stovetop, oven and appliances that generate heat. Candles may look festive and set the mood however unattended candles account for thousands of fires annually. The National Fire Protection Association reports that, on average, a candle fire in the home is reported to a US Fire Department every 30 minutes. Consider battery-operated, flameless candles instead. You really can’t tell the difference! Lighting up the fireplace? Make sure that’s all you light up. Believe it or not, every year people dispose of fireplace ashes before they have sufficiently cooled. Keep your ash out of the trash and only dispose of fireplace ashes in a sealed, metal container located far from anything combustible. Never dispose of fireplace ashes in your recycling bin, trash can, paper or plastic bags or in a garage, carport or on a deck or porch. Montgomery County Fire and Rescue wants you to have a great Valentine’s Day. Remember, smoke alarms save lives. They make great gifts, one-size-fits-all and MCFRS will even come out and check your alarms for free! Just call 311 or visit www.mcfrs.org/mcsafe for info. This post was provided by the Montgomery County Fire and Rescue service in Maryland. Warms the heart and kindles a spark to think of smoke detectors being right up there with a box of chocolates, a bouquet of flowers and bubble bath. 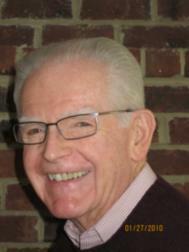 Thank you Roy Kelley ! Drown out the candles, the fireplace positive ions. Got it. I am thinking of giving my wife...ME!. What a nice message for Valentine's Day safety, Roy. Happy Monday! Good morning Roy. Great reminder to check the batteries after a nice dinner. Enjoy your day! Feeling loved has always been the gift that I wanted most on Valentines Day! I hope that yours will be enjoyed! Roy, I read an article a couple weeks ago that said on average men spend $350 on Valentine's Day and women $60. We always just stay at home and cook a nice dinner. Keeping an eye on candles at all times is important and using battery candles instead is great advice. Good morning Roy. 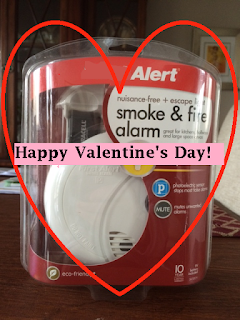 Smoke alarms may be a very sensible Valentine's Day gift, but if they are not accompanied by some flowers and or chocolates, the spouse alarm may start to go off. Hi Roy Kelley - My husband learned a long time ago mot to give me a sensible gift on Valentines Day..... nor for my birthday or Mother's day and for good measure I will throw in Xmas! Roy, fire safety is always important, no matter what time of year. Roy, Important tips you have listed today, and you're right this is a one-size fits all gift! Roy, I always so loved lighting a scented candle, however it was around 1990 when at the office, I began to worry whether I had blown out the light on a lit candle on my home office desk. As I drove home that night, I couldn't wait to see if I still had my house. Next day I threw out all that type of candles and never bought another in almost 40 years. Yup, Roy, I still look at those candles in shops and grocery stores and pick them up off the shelves to smell them. Never lost my love for them. Came down to a choice: my love for the scented candle, watching a flickering lit wick or perhaps a careless forgetting to blow it out before leaving a room, or a house. I know there are other ways to scent a room, however, not the same as my lit candle. That's a good reminder with candles being the go to lighting source this Thursday. The last thing you want to have happen is an accidental fire upend a romantic evening. Hi Roy- This is a good reminder about the various fire hazards that are out there. I've been using the battery operated candles that are on a timer.